Are you frowning over the expensive hospitalization bills of your loved ones? Though various payment methods such as different insurances can help you, out-of-pocket expenses are still expected to be incurred. Not only that, ongoing medication can also charge you high medical costs. Now, imagine spending your hard-earned money on high-priced hospital fees and medication costs again and again? That will surely draw more than just a frown on your faces. The good news is that you can prevent the re-hospitalization of your loved ones. One way of achieving this goal is through utilizing helpful caregiving services, like the ones we provide at Peachtacular Home Health Care (PHHC). Diet management. Nutrition is a vital factor in the recovery process of your loved ones. It is wise to make sure that they are getting the essential nutrients needed by their bodies through proper meal preparations. Caregivers assist in the meal planning for their patients. With proper nutrition, the chances of re-hospitalization can be reduced down to zero. Monitoring of patient’s vital signs. The pulse rate, respiration rate, blood pressure, and temperature should be strictly observed and recorded as these measurements are the basis of the physician’s decisions on the appropriate treatment of your loved ones. Medication management. The risks of re-hospitalization can be minimized if your loved ones are taking their prescribed medicines on time. Caregivers will be there to help them comply with their medication schedules. Light housekeeping. Maintaining a clean environment in your home can bring positive results to your loved one’s health. Thus, caregivers can keep the surroundings free from dangers of falling, slipping, and more. Reducing or preventing re-hospitalization does not only benefit you, but your loved ones as well. You are removing them from the burden of transferring to different facilities, undergoing various examinations, and being locked up in a hospital room. Wouldn’t you want to see your loved ones full of energy, smiles, and good vibes at home? 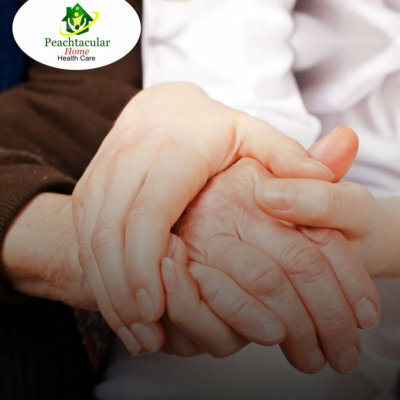 Allow our caregivers at Peachtacular Home Health Care (PHHC) to be their companions as they regain their strength, and recover from their illnesses or diseases. Inquire more of our services by sending us your queries at info@peachtacularhhc.com, or call 778-859-2695 now.